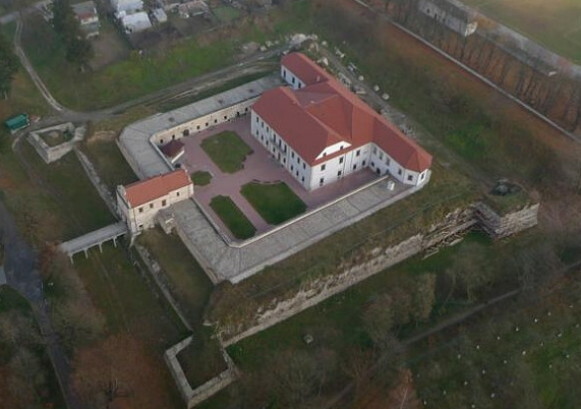 Zbarazh [Збараж; Zbaraž]. Map: IV-6. 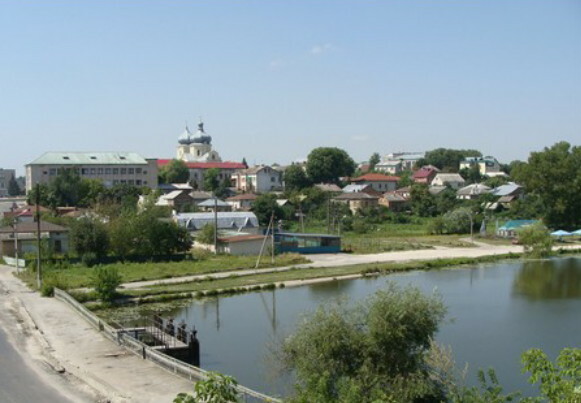 A city (2011 pop 13,915) on the Hnizna River and a raion center in Ternopil oblast. It is first mentioned in the chronicles under the year 1211 as the center of an appanage principality in the Principality of Galicia-Volhynia. From the 14th century it was under Polish rule. 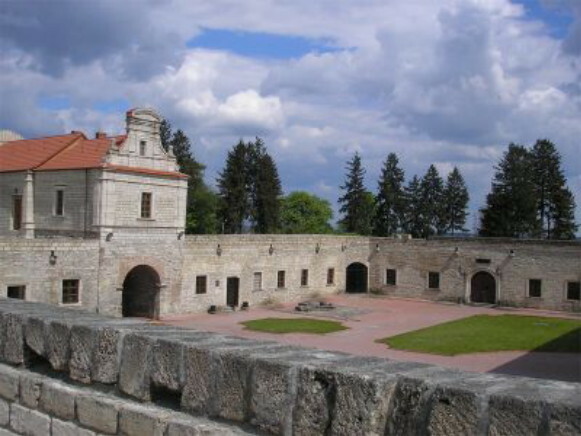 The fortress and town were destroyed by the Tatars in 1474 and 1598. 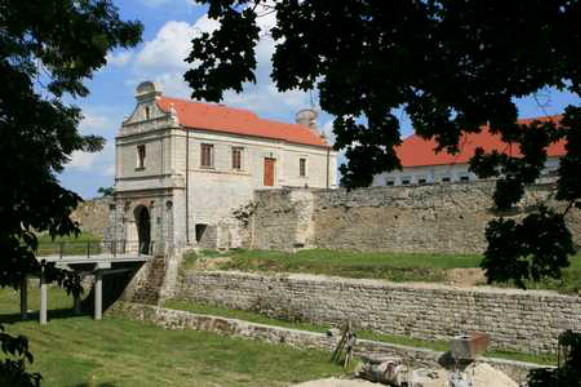 Owned by Jeremi Wiśniowiecki, the castle was captured by Bohdan Khmelnytsky's forces during the Cossack-Polish War in 1648 and besieged unsuccessfully in 1649. After the partition of Poland in 1772, Zbarazh was annexed by Austria, and served as a county center (1867–1918). In the interwar period it was under Polish rule. 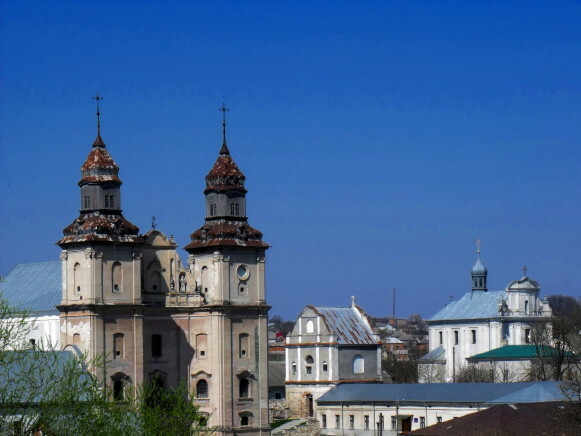 It was occupied by Soviet troops in 1939, and granted city status. Today it an agricultural center with a sugar refinery, winery, brick factory, foundry, and brewery. Its architectural monuments, including a fortress built by V. Scamozzi (1626–31), the Bernardine monastery (1627–30), and two 18th-century churches, are tourist attractions. 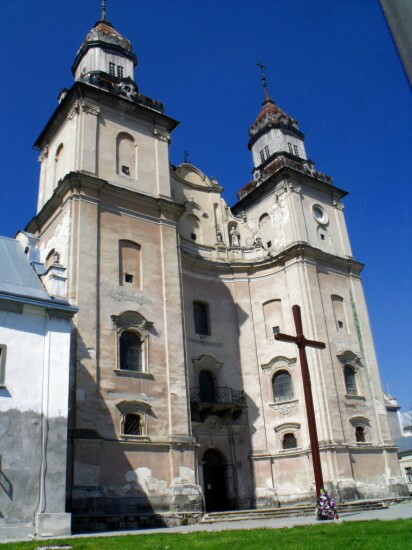 The remains of a 15th-century fortress and the Transfiguration Church (1600) are found 3 km south of Zbarazh, in Staryi Zbarazh.